Even now, Spokane is pretty proud of Expo ’74. As the smallest city to ever host a World’s Fair, we certainly have a right to be proud of the accomplishment. #spokanerising does its part with an Expo 74-inspired favicon and social media icons. But Expo really did clean up our dilapidated downtown. It really did relocate dozens of acres of railroad facilities, and it really did permanently throw our “Skid Row” of sorts, West Trent (now Spokane Falls Boulevard), out of the picture. Our Fair was the first ever to have an environmental theme, “Celebrating Tomorrow’s Fresh New Environment.” And no less, we had the chutzpah to celebrate the planet in an era defined by the consumption and excess of a steadily-growing American middle class. It was a bold statement on the part of a bold city. But what is the legacy of Expo ’74? What has been the lasting benefit to our city and region? Sure, we have reclaimed the river, and it’s become our centerpiece and top tourist attraction. Today’s Riverfront Park attracts over two million visitors per year, according to the Visitor’s Bureau (and is in need of major renovations; see below). We’ve cleaned up our downtown. There is no longer a “Skid Row” (naysayers, East Sprague does not compare; look at pictures if you disagree). We’re in a much better place than we were in the 1970s economically, having extensively diversified from the extractive businesses of mining and farming. These are all great things. But what has become of Expo ’74 on a more cultural level? We still talk about it all the time, but do we really know why we do? Do we have some massive commitment to the environment that other cities lack? Do we seek international relationships in order to build innovation within City boundaries? Do we still have bold ideas? What is the lasting legacy of Expo? In order to better define our future sense of vitality, Spokane must come to grips with its past. We have two equally-possible and equally-fair paths. We can shed the Expo ’74 mindset and mentality and work toward bettering Spokane for the future, informed by the experiences of other cities, while developing our own unique culture and spirit to define our new realities. Or we can latch onto Expo as a rallying point in order to focus our future endeavors and goals. Let’s make Spokane a leader in green energy and efficiency. Let’s pave the way with new innovations and investments in our technology. 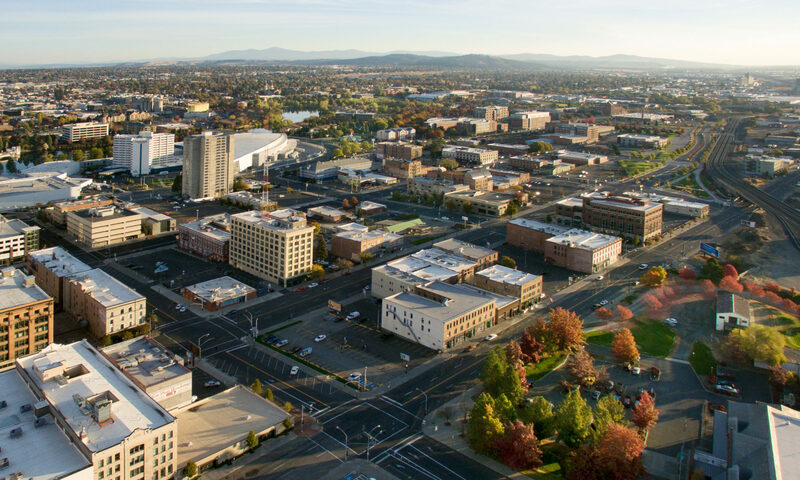 Let’s build international relationships, both with governments and corporations, in order to open a dialogue and make Spokane truly a global city. Let’s create a legacy for Expo from the one that never truly materialized. Let’s utilize Expo in keeping true to our history while working tirelessly and courageously to keep moving Spokane forward. What are your ideas for embracing and building a legacy for Expo? Share your thoughts in the comments below or on Facebook and Twitter (#spokanerising).